Morning all. Quick am introduction am from the northwest place called warrington. Just recently purchased a Jamis Komodo Pro Comp has a couple of road rides and down transpennine trail on yet. 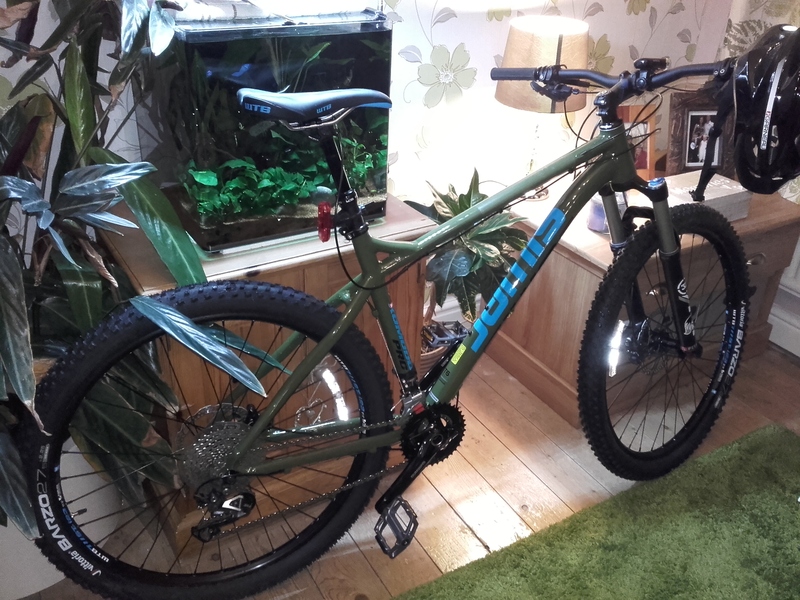 So far so good with bike but its not been thrashed around any trails yet. Looking at building up my skill set before I ride the trails. Welcome. Thanks for sharing your bike. Looks like you'll have a lot of fun on it. Are you a fan of Rza from Wu Tang by any chance? Yes that's right. I was into the early 90s rap music wu tang clan were very good, but Rza or Bobby Digital his solo album was one of my favourites. Had a bit of fun today just taking it round delamere forest. Rather impressed with the bike. Just need to improve on my riding and then I can better feel for the bike.